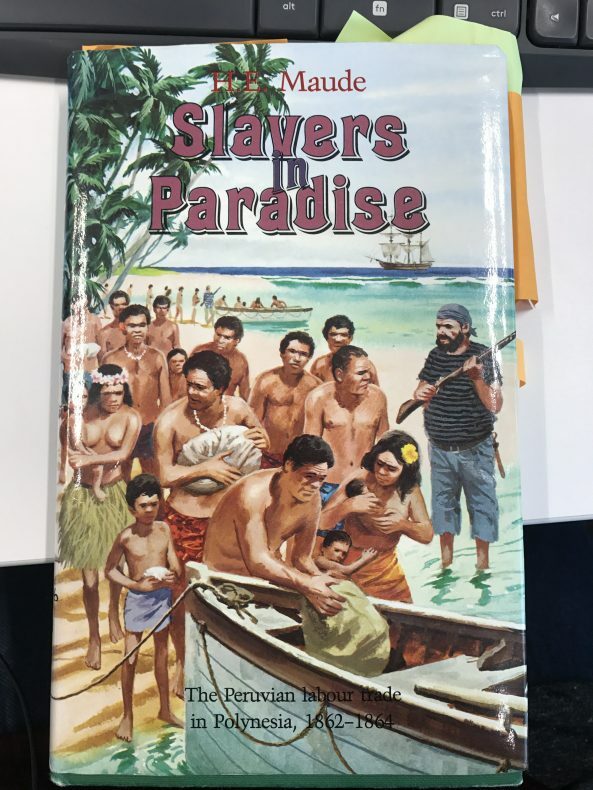 Curator Pacific Cultures Rachel Yates takes a look at the book Slavers in Paradise, and a lesser-known episode of Cook Islands and Pacific history. As part of the lead up to Te ‘Epetoma o te reo Māori Kūki ‘Āirani (Cook Islands Language week), I made a list of potential reads, mainly historical non-fiction books featuring writers or stories from the Cook Islands that I would dedicate time to reading as part of the week. This brought me to H.E Maude’s Slavers in Paradise (1981), about the Peruvian slave traders and their short but devastating presence in Polynesia in the second half of the 19th century. It’s a heart-breaking yet gripping read and in many instances I found myself unable to read long passages at any one time. On one occasion I had to put the book down after reading about helpless fishermen, working to provide for their families, being chased down on the open sea by larger faster ships and taken unwillingly to Peru. In the 1800s, many of Peru’s exports came from large plantations producing sugar, cotton, grains, and olives, etc. as well as coastal guano mines. They were lucrative industries requiring a large labour force, provided in the form of slaves. These industries experienced huge change when, in 1854, slavery in Peru was abolished and business owners struggled to find workers to continue production of these large enterprises. Under pressure from landowners, the Peruvian government passed a law in 1861 enabling the importation of workers including Chinese coolies and Polynesians. Slavers in Paradise looks at the traumatic events of recruitment (which included people leaving their home islands by choice, being misled and also those who were forced and kidnapped) by Peruvian ships in the Polynesian region. Theoretically, Polynesians were taken to Peru as migrant workers and were classified as colonists who willingly entered the country on the premise that they would work in reasonable conditions, be paid, and returned to their homes. In actuality, they were slaves. They became the property of others and were subject to their rules and conditions for not only the work required of them but their lives. The Cook Islands play a significant role in this heritage as the practice began in the Northern Cooks in 1862 when an unscheduled stop in Tongareva (Penrhyn), the northern-most atoll, led to the first recruitment of people from the region. 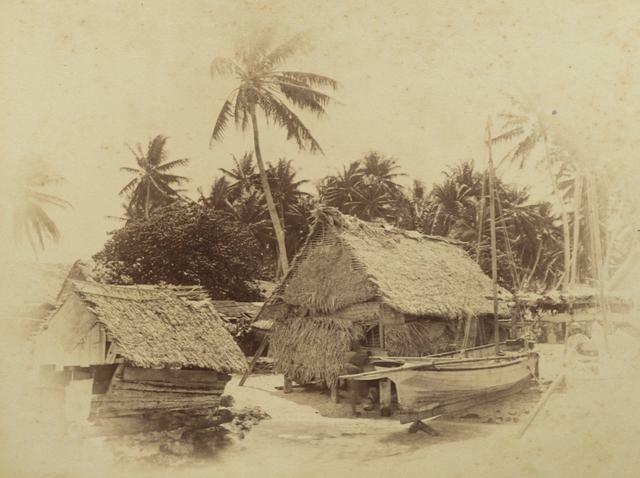 The first vessel, Adelante, and her crew were en route to Melanesia in pursuit of workers and wanted to call by Tongareva’s lagoon after hearing about the abundance of resources such as pearl shell that could be found there. Upon arrival though, they were met by locals eager to leave their homes for a number of reasons; including that at the time, the coconut palm, one of the main sources of food, was being ravaged by a disease leaving their crops inedible, and there was a real concern that famine would force them to relocate. 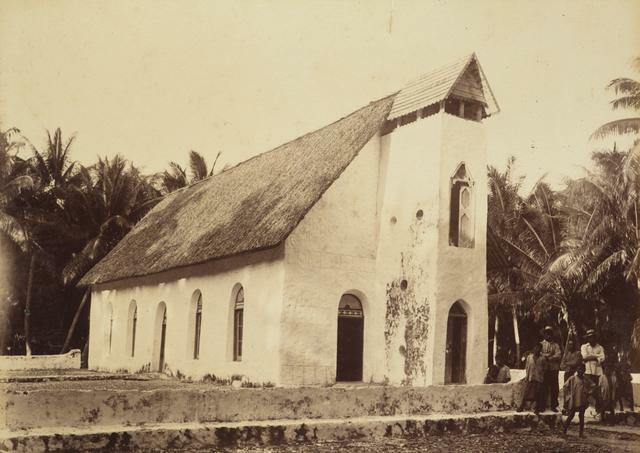 The London Mission Society had an important presence on the atoll and from their perspective, work abroad was an opportunity to bring income back to the community and build impressive churches to rival those on Manihiki, Rarotonga and other islands of the Cooks. From this inaugural trip, 253 people from Tongareva arrived at Callao, Peru: 83 men, 83 women, 30 boys, 19 girls and 19 infants, three of whom were born on-board. They were purchased (officially recorded as payment of passage) at $200 for men, $150 for women, and $100 for boys. A significant financial gain was made by the shipping company and within three weeks at least five Peruvian ships left for the Cook Islands and neighbouring Pacific nations with the sole purpose of making profit by providing a labour force for Peru industries. Over the period when ships were frequenting the area, from the Northern Cooks a total of 472 recruits from Tongareva, 145 from Pukapuka, and 115 from Rakahanga left for Peru. 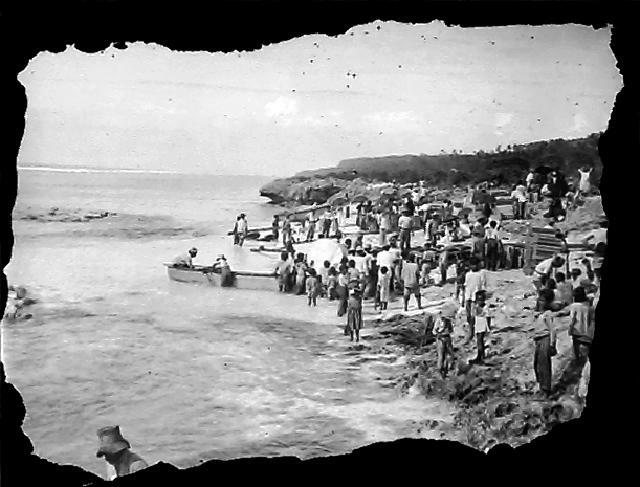 In contrast to this, the Southern islands of Mangaia and Atiu only recorded 11 men leaving. The rocky volcanic terrain on these islands acted as a natural environmental defence against kidnapping, and the populations were well provided for in terms of food and resources, so there was no real incentive to leave. The 11 recorded as being captured from these islands were all men who for one reason or another went on-board the ships and were trapped there. Maude’s book covers a range of locations including Niue, Tokelau, Tuvalu, Tonga, and the trade’s extension to Kiribati in Micronesia. More than 3,000 Pacific Islanders reached the shores of Peru – I have included Table 8 below from the book (p.193), which shows the break-down of Pacific people recruited for Peru and the means by which they left. In this table an attempt is made to analyse in statistical form the methods adopted by the Peruvian recruiters to fill their complements: whether by invitation without involving deceit or coercion; by misrepresentation as to the place, nature or term of employment for which the islanders were being engaged; or by outright kidnapping. Some of these were stated to have been kidnapped but the number is unknown. Tragically, of these 3,000-plus people, only 148 were repatriated back to the Polynesian region and 111 were Kiribati who arrived in Tongareva. 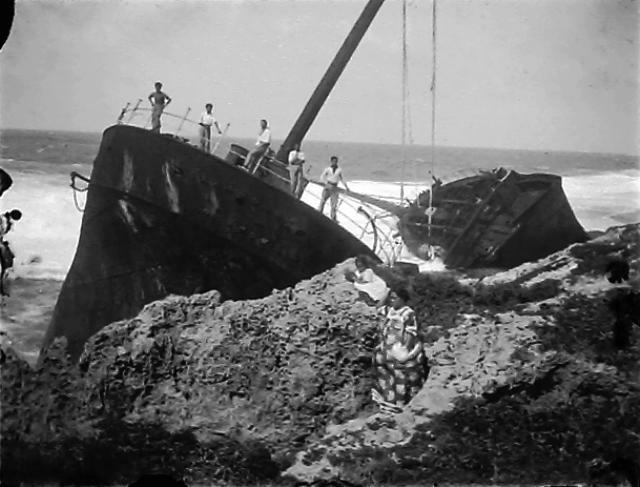 The majority of those that left their islands on ships for Peru died (over 90%). Many failed to acclimatise to harsh working conditions in Peru, immune systems were weakened and some were lost to diseases such as smallpox and infections from dysentery. The collated data tables, records, and oral histories assembled by Maude gives us an insight into the devastation left behind after the loss of life. If culture is ‘the integrated pattern of human knowledge, belief, and behaviour that depends upon the capacity for learning and transmitting knowledge to succeeding generations’, what were the effects of the loss of so many people in places like Tongareva? The sudden departure of more than half the population meant losing a wealth of knowledge, beliefs, and behaviours that would not be passed on to future generations. Reflecting on loss in the context of language, a line of scholarship I will never forget from undergraduate studies many years ago comes from Samoan scholar Galumalemana Tuiletufuga Hunkin who wrote that ‘the relationship between language and culture is like oxygen to human survival’. Language is a central feature of culture and a way in which we can connect to our ‘mana and the vaerua (soul) of who we are as peoples’. New Zealand is home to the largest Polynesian city in the world yet the statistics detailing the use of Pacific languages are startling with the last three censuses showing a steady decline in the number of Pacific people speaking a Pacific language. Initiatives like Pacific Language Weeks help put the spotlight on Pacific cultures, and allow people to connect to their heritage. Dunbabin, Thomas James. Slavers of the South Seas. Angus & Robertson, 1935. Hamilton, Scott. The Stolen Island: Searching for ‘Ata. BWB Texts, 2016. Maude, Henry Evans. Slavers in paradise: the Peruvian labour trade in Polynesia, 1862-1864. Australian National University Press, 1981. “Culture.” Merriam-Webster.com. Accessed July 30, 2017. Hunkin-Tuiletufuga, Galumalemana. “Pasefika languages and Pasefika identities: Contemporary and future challenges.” Tangata o te moana nui: The evolving identities of pacific peoples in Aotearoa/New Zealand (2001): p. 197. Ministry of Pacific Peoples. Te Papa. “Te ‘Epetoma o te reo Māori Kūki ‘Airani Cook Islands Māori Language Week: Education Resource 2016” Accessed July 30, 2017. Merci de cette rubrique !